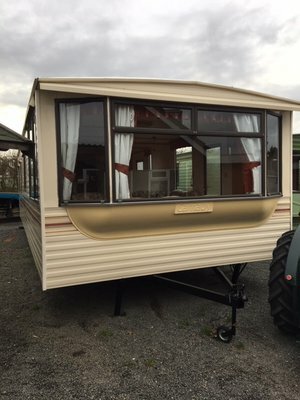 Here at Steve Finney Caravans located just west of Kidderminster in Worcestershire, you will find a large selection of pre-owned static holiday homes for sale awaiting your inspection. With certain models offering double glazing and central heating, your sure to find a holiday home to suit your needs be it for temporary or permanent accommodation on your own private land or for holiday use on your chosen caravan park, We are sure we have something thing to suit your needs and budget. With our own transport service available the whole purchase experience can be quick, simple and all done under one roof! Please contact a member of our sales team now.